for $102.99. That's 31% off the list price of $149.99! This affordable pump has a solid 4 out of 5 star average rating and it has free 2-day shipping! 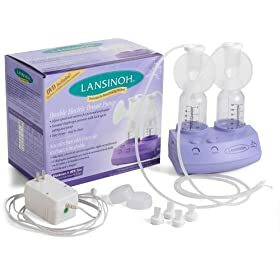 Drugstore.com also has the Lansinoh breast pump for $102.99 with free shipping, plus if you are a new customer you get 10% off. And if you have an ebates account you can get 8% cash back. That means you can end up getting the pump for around $85!